Home » Software » How To Recover Data For Free With EaseUS Free Recovery Tool? How To Recover Data For Free With EaseUS Free Recovery Tool? ut of so many softwares available, EaseUS guarantees the recovery of any data you want. Data loss can be the most annoying situation when you are working on an important project. However, this could be permantament if we would be talking about situations decades back. But now we are living in the age where developers have launched a lot of amazing software which can help us in a lot of ways. Similarly, EaseUS is one such data recovery tool which can help you have all the lost data That is all for free. So, let's see how it works for free in order to recover your data. 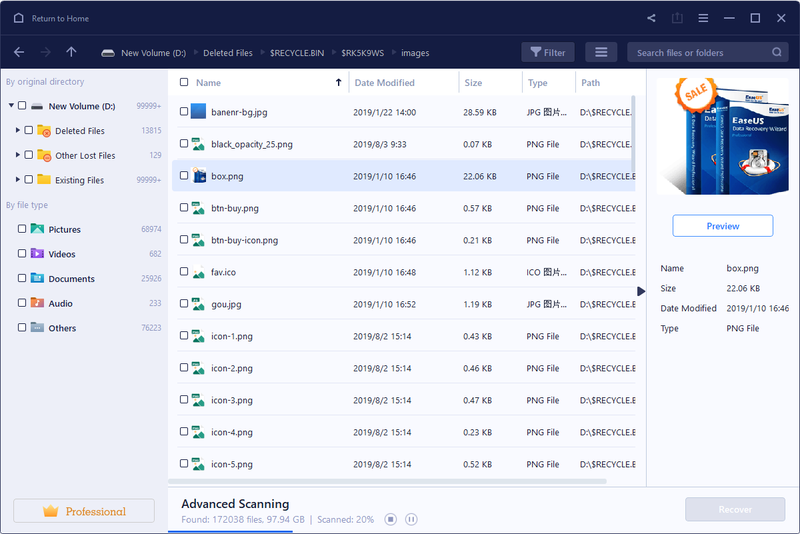 What is EaseUS data recovery software? out of so many software available, EaseUS guarantees the recovery of any data you want. However, it comes in various versions that includes different features but the free versions have its own significance. The Best things about this software is its price. It comes for no penny spent. Seriously, No penny needed to install, scan and recover your lost data. The free version of this file recovery software can be considered as the trial pack of EaseUS. It allows you to recover data of up to 2GB which is a lot for many users. Also, it can help you recover all the deleted files or data which is inaccessible which includes documents, compressed files, media or emails. Moreover, the software can recover data from any device may it be PC, laptop, or any external device such as SD card or RIAD without costing anything. It simply scans the lost files in the partition and allows the recovery through its deep scanning. First of all, you have to select a location where you want to scan and find the file you want. Launch the software in order to discover any recoverable data. The software will scan all the data which is available to recover. Firstly, it will scan the location quickly and then start the deep scan immediately in order to obtain everything which is unavailable. After that, the software allows you to preview every file to recover the data you want to. This can help you target the necessity rather than recover any crap you can find. Press the recover button and EaseUS will move its have all your data back. You can also use it for a hard drive recovery. So, with EaseUS, you can work freely as it is here to recover your data for free of cost.